On Monday, Wired published an inside look at Facebook’s struggles with fake news over the last two years. It should come as no surprise that Mark Zuckerberg still doesn’t think of Facebook as a media company, but an eye-opening story from 2007 reveals that in MySpace’s heyday, Rupert Murdoch managed to intimidate the CEO in a way that only an old-school media mogul could. The Wired profile traces Facebook’s fake news problems back to a series of Gizmodo reports from 2016 about the employees who worked on Facebook’s now-defunct “Trending Topics” feature. One of those stories recounted the employees’ admission that they “routinely suppressed conservative news” when choosing what news to surface in users’ feeds. As is well-documented by now, Facebook handled this report very poorly and has proceeded to flail around with various initiatives to automate the ways in which news shows up through algorithms. Russia’s attempts at interfering with the 2016 Presidential Election in the US brought all of this to wider attention last year, and Facebook still hasn’t found a solution. What hasn’t been widely reported is how Zuckerberg initially handled pacifying conservatives in the days following the initial fallout around the manipulation of Trending Topics. According to Wired, Facebook executives weren’t primarily worried about the bad publicity, they were worried about drawing scrutiny from the federal government. After Senator John Thune, chairman of the Senate Commerce Committee, sent a letter demanding answers about Facebook’s news practices, the company dispatched lobbyists to Washington and summoned 17 major conservative figures to its headquarters to talk it out. The power went out, and the room got uncomfortably hot. But otherwise the meeting went according to plan. The guests did indeed fight, and they failed to unify in a way that was either threatening or coherent. Some wanted the company to set hiring quotas for conservative employees; others thought that idea was nuts. The strategy seemed to work. Conservative pundit Glenn Beck attended the meeting and afterward wrote, “Without hesitation, with clarity and boldness, Mark said there is only one Facebook and one path forward: ‘We are an open platform.’” Beck also worried that conservatives were being too quick to react to an accusation that Facebook denied. If Facebook didn’t start offering a better deal to the publishing industry, Thomson and Murdoch conveyed in stark terms, Zuckerberg could expect News Corp executives to become much more public in their denunciations and much more open in their lobbying. They had helped to make things very hard for Google in Europe. And they could do the same for Facebook in the US. Inside Facebook, executives believed Murdoch might use his papers and TV stations to amplify critiques of the company. News Corp says that was not at all the case; the company threatened to deploy executives, but not its journalists. What’s most interesting is that Murdoch had alledgedly already shown Zuckerberg what kind of power he could wield back in 2007 when he was was the owner of MySpace. Murdoch famously purchased MySpace for $580 million in 2006 and almost immediately started losing ground to the Facebook juggernaut. 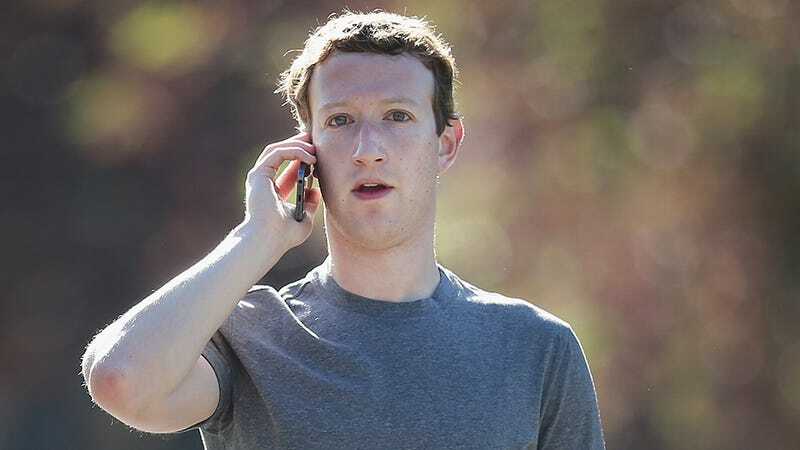 That year, Zuckerberg was blindsided by an investigation into Facebook’s safety practices that was opened by Connecticut attorney general Richard Blumenthal. Ultimately, 49 state attorneys general got involved in scrutinizing the social media network’s alleged failure to protect younger users from seeing inappropriate content and being targeted by sexual predators. An unnamed former Facebook executive told Wired that Facebook executives allegedly came to believe that News Corp employees were responsible for the Facebook accounts and predatory behavior that was referenced in letters to Blumenthal and other state attorneys general. Speaking anonymously, the executive claimed that Facebook found the accounts had been set up at the Apple store just one block from MySpace’s office and “Facebook then traced interactions with those accounts to News Corp lawyers.” We’ve reached out to News Corp for a response to these allegations and will update this post if we receive a reply. It’s an interesting anecdote for many reasons, above all because it shows that Murdoch may be worth tens of billions of dollars less than Zuckerberg but he still has the connections, ruthlessness, and savvy to be a tremendous thorn in the young CEO’s side. When a company makes a product as addictive as Facebook, executives don’t have to spend a whole lot of energy worrying about losing users over the way news is served. But they do have to worry about politicians stepping in and exercising control over that product. And if anyone has power over politicians, it’s Rupert Murdoch. We’ve increasingly seen conservatives at Fox News and beyond attacking Silicon Valley and social media this year. Outrage over Russian election manipulation hasn’t been a big talking point for Republicans (they won after all), but a steady drumbeat over censorship and monopolistic practices has been building among pundits and right-wing trolls. When Rupert Murdoch publicly called for Facebook to start paying its “trusted publishers” in January, it seemed like the ramblings of a delusional old man. In fact, it may have been a threat.